My daughters babies are more than just dolls. They are friends, secret keepers, hair dressing customers, shopping companions, bedtime snugglers. They bring out the innocence and creativity of a child. My daughter Kinley begged me for close to a year for a sibling (she is currently almost 4). Being so little she had no idea that a request like that isn’t so easy for mommy. Mommy has PCOS and one of the top symptoms is infertility. PCOS is the leading cause for infertility in women. 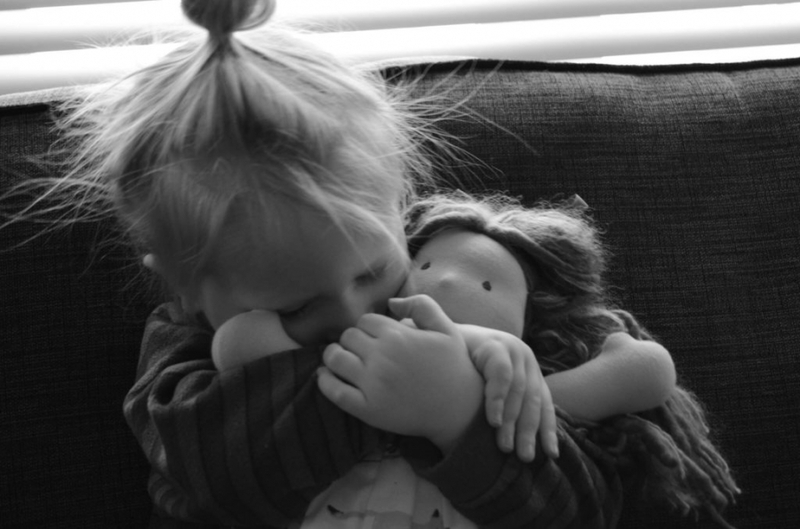 Every time she asked “mommy, when can we pick out my new baby at the store?” My heart both chuckled at her sweet innocence and broke because I may never be able to give her the sibling her little heart desired. Luckily after getting referred to an amazing doctor and taking several meds including fertility meds (like I did to get pregnant with my sweet Kinley), I got pregnant! Kinley was beyond thrilled with the news. 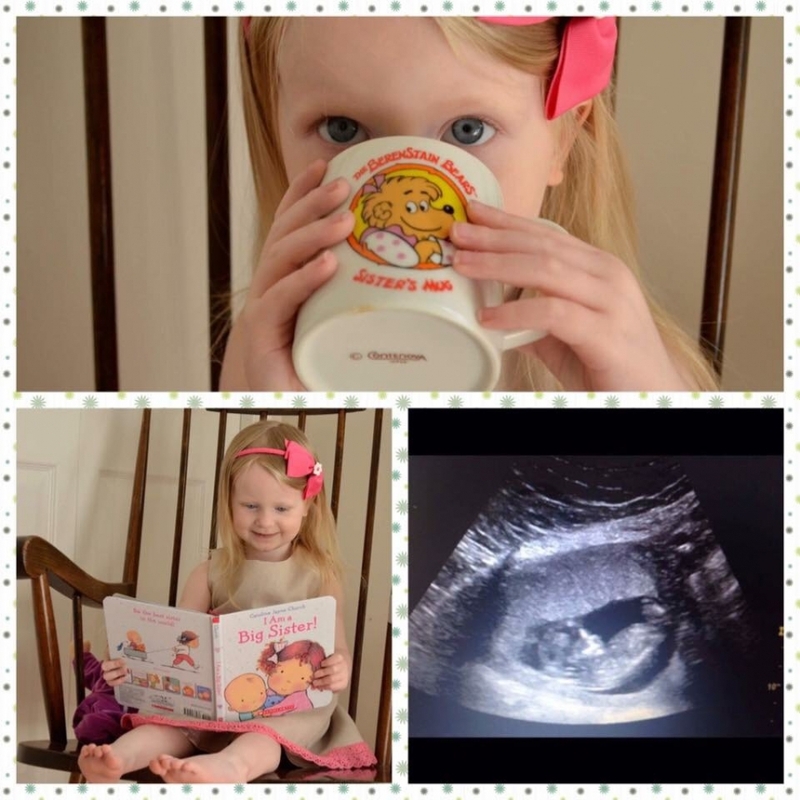 Right from the start she was determined to be a wonderful big sister. 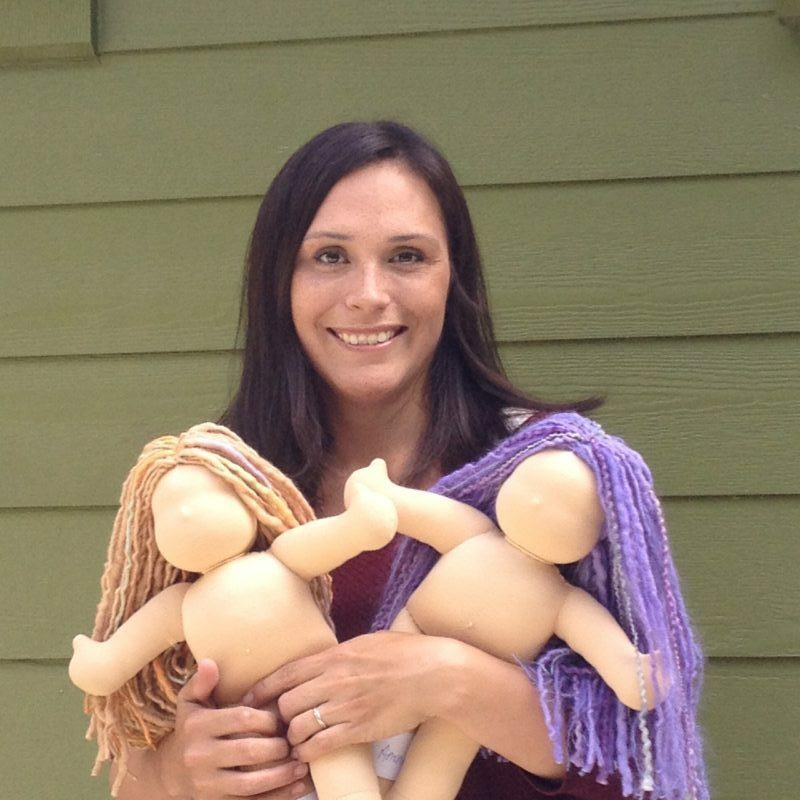 She practiced burping, swaddling, feeding, clothing, singing and shushing her Bamboletta dolls. She had the shush, swaddle and bounce all down by the time her little brother made his appearance. Lol! She spends hours perfecting their hair dos and pretend make up. Picking out perfect outfits for birthday parties, tea parties and holidays. She was gifted a baby doll Tula carrier just like mommies and now baby wears like a pro. She will stop dead in her tracks during a walk because Suzy is crying and needs a bounce. You can barely tell but the last pic (our pregnancy announcement) Kinley is reading the “I Am A Big Sister” book to her Bamboletta baby doll. You know, whenever I use plastic kitchen wrap I get this feeling of guilt and sadness for using it. Environmentally it’s a catastrophe and then I hate to think of the chemicals rubbing off on the food it’s covering. I’ve found a solution that works in most cases – beeswax fabric! So, what is Beeswax Fabric? It’s simply cotton fabric that has been treated with beeswax. I’ve been buying it from Whole Foods for years now and love it. But then I saw a post on Instagram about how to make it and I could not believe how easy it was. Seriously, so easy. I was so excited to share this info I made a video showing you how to make it – I didn’t even bother to change or put make up on. Still in my yoga clothes, yup, that stoked on the wax fabric. Beeswax – candle or block. I used maybe a 1/2 cup worth of wax and had so much left over. You don’t need much. Jojoba Oil – must be the natural unscented stuff. Fabric cut in various squares. I like to experiment here with the sizes and have a variation to fit over jars and bowls. 1/2 a yard is plenty and I just use quilting cotton but muslin would work as well. Cheese Grater or Food Processor with the grating attachment. Okay – so here’s the steps. SO easy you will love it! I was to much of an eager beaver to get started and didn’t cover my work area in newspaper – I would highly recommend you doing this beforehand. 1. Break down and grate your wax into small pieces. You want to break it down into pieces like you would grate mozzarella for pizza. Also, cleaning tip, the wax comes right off your stuff if you use soapy hot water. Then turn on your iron – about med hot works. 2. Cut your fabric into various size squares. 3. Line your cookie sheet with parchment paper. Then put down a square (just one at a time!). Sprinkle your fabric with the wax chips lightly – again with the food analogy – like you are covering a pizza with cheese lightly. 4. Sprinkle your jojoba oil on the fabric .. as you would olive oil on focaccia! Then cover your fabric with another layer of parchment paper. 5. Iron the fabric, pressing the wax into the fabric. Really squish it in there! Flip it and iron the other side. 6. Wait a few minutes and then peel the parchment paper back. And there you have it! Wax Fabric! So, here’s some more advance tips. If you sew, I’d zigzag the edges of the fabric so that it doesn’t fray. Also, you can cut big pieces and fold them over to make bags to store dry goods in or sandwiches. To clean them, we just wipe ours down with a damp cloth and some soap and leave them out to dry. I’ve had a few pieces for YEARS. It may take a few tries to get the level of wax right for the fabric you are using. It’s really a case of not too much or too little. Okay, I am hanging my head in shame .. it’s been ONE year since I blogged. I think because Instagram has sort of taken over my online life I sort of forgot blogging. But then when I went through this whole website redesign and started re reading my blog and got a little bit nostalgic. Even of no one reads it it’s a nice little journal of my Bamboletta journal. So, new website! Have you had a look around? I am so excited about how it’s looking and functioning. And those illustrations? How super cute are they? So, while going through the site I kinda got lost in a bit of reverie while reading some of the Bamboletta Love stories. 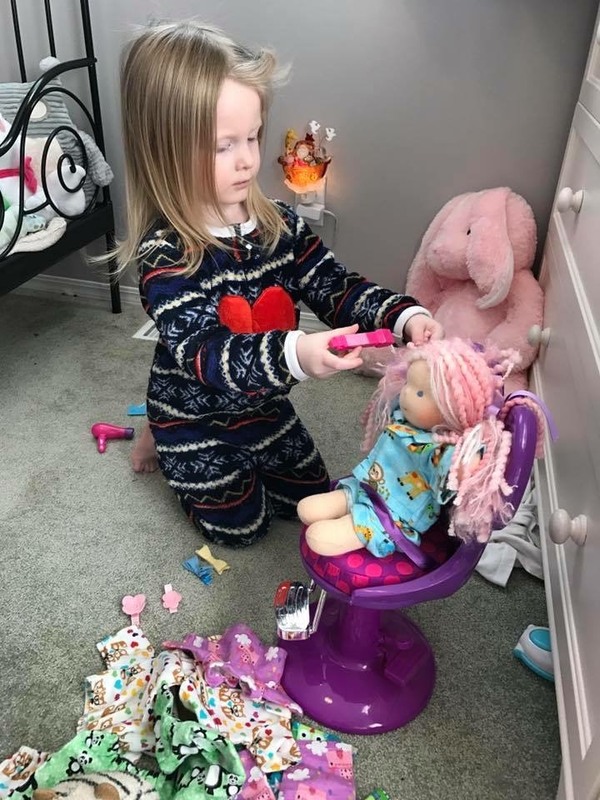 Stories that customers have sent me about their kids relationship with their dolls, what the doll means to them and the friendships that have developed. So I got an idea .. I’m asking you to send me your Bamboletta Love story (with pictures if possible!) 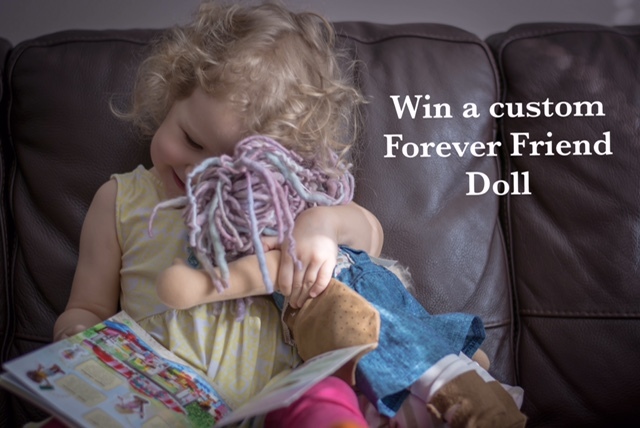 and I’ll choose one story to win a custom Forever Friend! Please send your submissions to love@bamboletta.com and I’ll choose a story by Friday at midnight PST. By submitting a story you agree to have them published on here and social media. I want to spread the looooovvvee. It’s so nice to be on here again and I promise to come back more often. I’ve missed this. Tonight I’m going to work on another post on how to make waxed fabric to use instead of plastic wrap .. how cool is that? That will be up soon! My little 3 year old girl Soleil loves her Bamboletta Baby Annie. Soleil was given her Baby for her 1st Christmas & Sol is not a real girly girl. 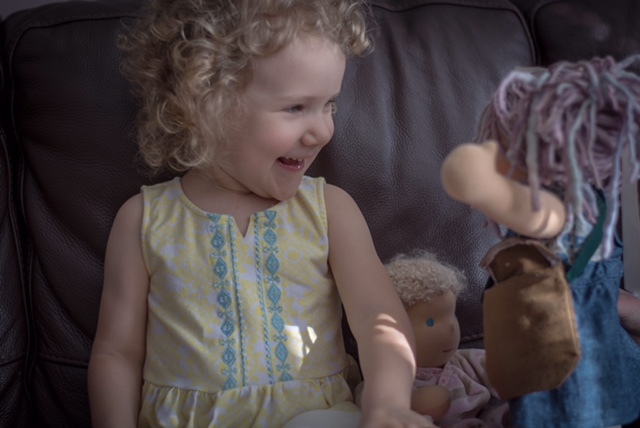 Soleil has taken a couple of years to start to love dolls but her “baby” is her favourite. Sol has to take her baby to bed each night but before bed the baby has to have her onesie on, her night cap on & wrapped in her blanket. Soleil sits on her bed a lot & just talks to her baby, telling her all sorts of stories & having conversations with her. Sol looks at her “baby” with total love in her eyes. For a girl that loves digging in the garden, playing in the dirt, being on her Skateboard or playing with her trucks & cars it’s so nice to see that she has a special friendship with this beautiful quality handmade “baby” that will be with her for her whole life. Thank you for making a lifetime friend for my beautiful daughter. Hello!! While my bamboletta love story doesn’t involve my daughter (yet), it will soon. One day many years ago I was browsing through the stores in whip letter junction and came across this wonderful little store. There were dolls everywhere and each one unique with their own personality. At that time I had no children of my own and no friends with kids. As soon as I saw these dolls I knew I would love for my future children to have a forever friend. Because that’s what I saw in these dolls. Handmade with love and care, which would last to be passed down to my children’s children. I now have a 5.5 month girl (Ashlyn) who I love with all of my heart. I cannot wait to see her playing and adventuring with a dolly friend. I have held onto that feeling from the first time I saw a bambolleta doll and it has blossomed ever since Ashlyn has joined her father and I. This may not be a child’s love story for a doll but instead a mothers love story for her daughter and a doll. Oh I love this! ! The only way we could afford one for my daughter is the contests you offer! ! My daughter…lily (our only girl…3 boys too ) would love this! Your dolls are beautiful! Thanks for this opportunity to enter! I’ve been meaning to do this for a long time – highlight one of my sewing mama’s each week. This is Amanda and she’s been sewing for us for four years now – with two maternity breaks in between. A major reason why I’ve organized Bamboletta like it is is because I really want to give employment to women to be able to stay at home. To take care of their children and later on in life to take care of spouses or elderly parents. Amanda shared this story that warmed my heart. ‘So, when I started sewing I honestly found it hard to figure out how to put Liberty down and get my sewing done. As a result of that we ended up spending many, many hours with my dad. He would play with Liberty while I got some time to sew. This work gave us more of a reason to spend time together and made the bond between Liberty and my dad unbreakable. Now I still find it hard to put the kids down to do my sewing so it’s usually done late at night. The best part of those late night sewing sessions is that I almost always think about my dad and Liberty. I think about him singing to her and teaching her sports. I got to sit back and watch and put all that love into the dolls. 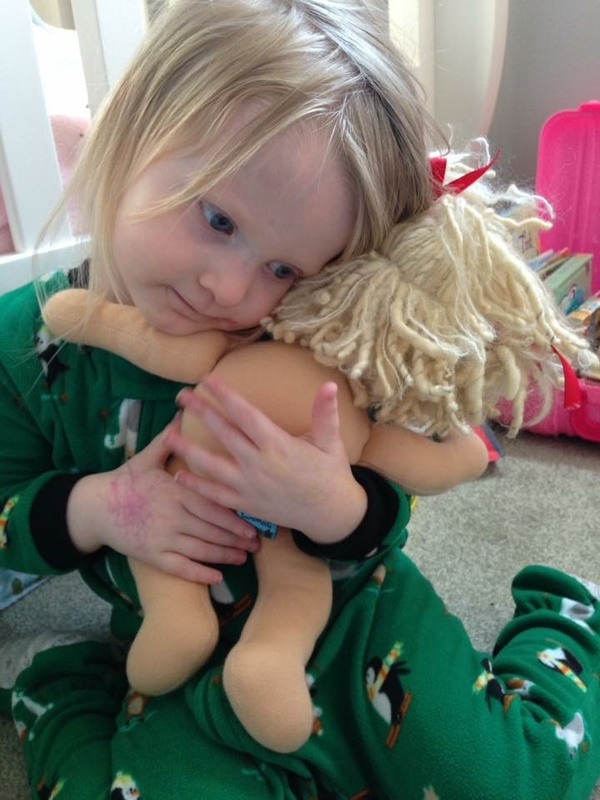 So much heart goes into making the dolls – things you can never see but maybe feel. Thanks to all my lovely customers who can definitely feel the love. thanks for sharing your heart and your lovely memories of making your dolls while your dad watch Liberty. I think the spirit of your love for your dad and daughter definitely shines through the dolls. Well, friends, dreams do come true. We just opened up a wee studio/shop in Vancouver! I’ve been pining for a storefront in the city for a few years now and now it’s happened and I couldn’t be more thrilled! 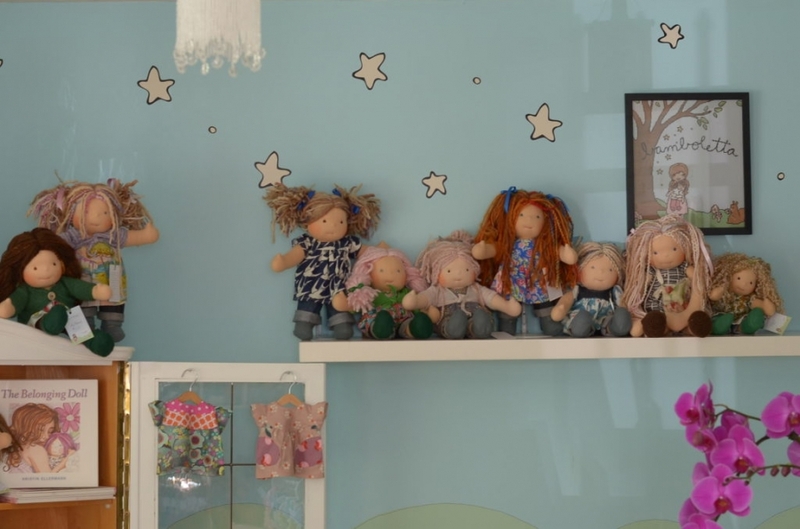 Our shop is stocked full of dolls of all sizes (including the shop exclusive Piccolina’s), loads of clothes, some yarns and other bits and pieces. I’m gathering things together to start offering workshops as well (I need to build a wall of yarn for the hair first – this takes a while). I’ve been working out of a studio at home since last fall and it’s been great! But, the dolls are so happy to have a space to be with each other and wait for their new family to come in and adopt them! We opened last weekend, and my heart nearly burst when all the little one’s came in to look at the dolls and brought in their dolls for a visit. Ahh – I’ve missed this so much! 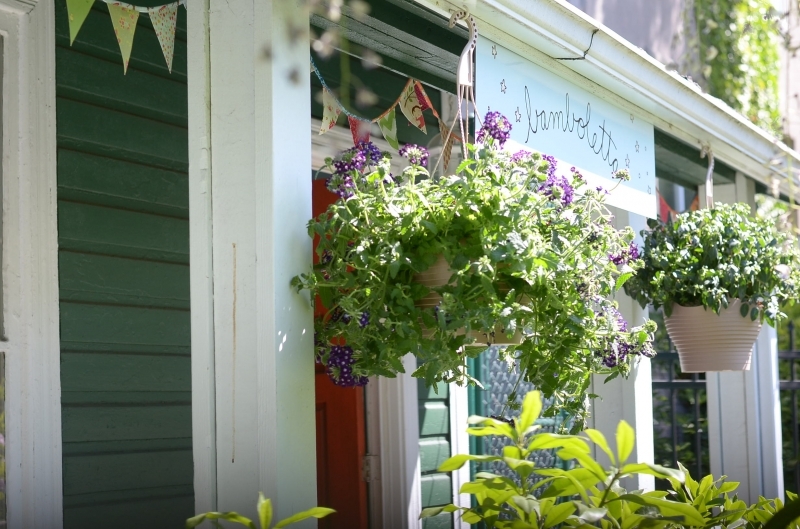 Our shop is located at 1723 Grant Street (just off Commercial Drive). We are open to the public Friday, Saturday and Sunday’s from 10-5.